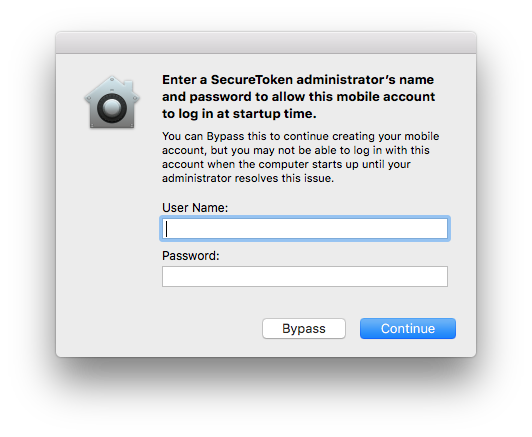 This article provides information about Apple's Secure Token account attribute. 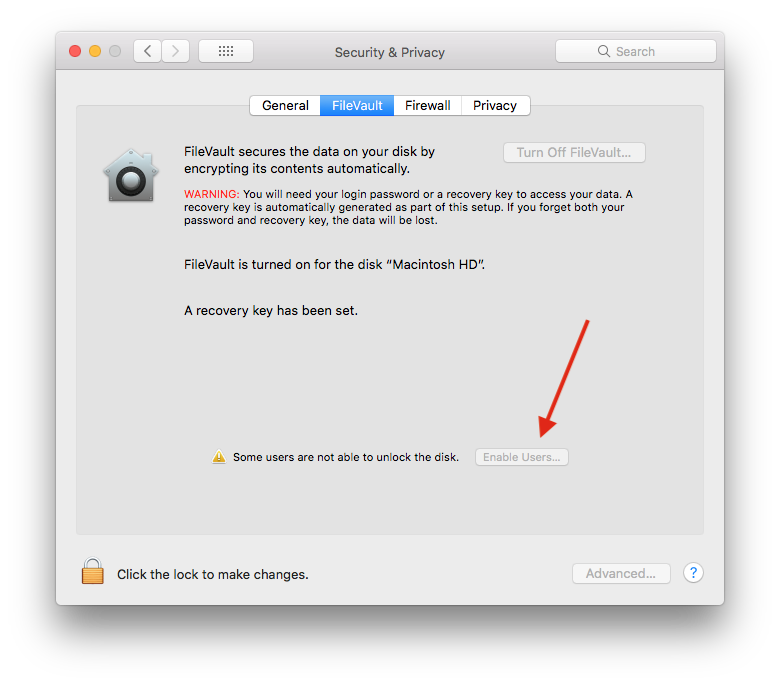 Apple's Secure Token account attribute, introduced in macOS 10.13, is required for a particular user to enable FileVault disk encryption on a Mac, and to unlock a FileVault-encrypted volume at startup. The local admin account created by the Setup Assistant, and to any local accounts created in System Preferences - Users & Groups by that first account. Accounts created using command-line tools, including packaged scripts and installers. ** If deployment involves suppressing the Setup Assistant and binding to the AD, as in a DEP-Workspace ONE workflow, the first logged-in account will receive the Secure Token attribute even if it's a mobile account. In this scenario, subsequent logins--including the local admin account--will NOT automatically receive the Secure Token at login, which presents support problems. There is a local admin account present that has already logged in at least once. The account logging in will be an AD-based mobile account. Selecting 'Bypass' in the dialog will allow the user to continue logging in, but without receiving the Secure Token attribute. That user will not see the dialog again. If they need to be Secure Token-enabled down the road, an account with the Secure Token will need to add it to their account. In some cases such as lab environments, it makes sense to proactively bypass the Secure Token dialog for all mobile users on devices that will never be encrypted. The EPS team has created a mobileconfig profile for Multi-Tenant-Munki stakeholder use. To install the profile on a managed Mac, add secure_token_bypass to the Managed Installs section of the machine manifest, or to your unit's base manifest structure as appropriate. You may want to update your unit's manifest template(s) to reflect this change. In both cases, the receiving account's password will need to be provided. Deployment workflows that rely on command-line account creation and bypassing the Setup Assistant will result in Secure Token problems. The EPS team strongly recommends that units discontinue their use.